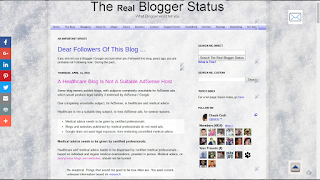 Healthcare is not a suitable blog subject, to host AdSense ads, for several reasons. Medical advice needs to be given by certified professionals. 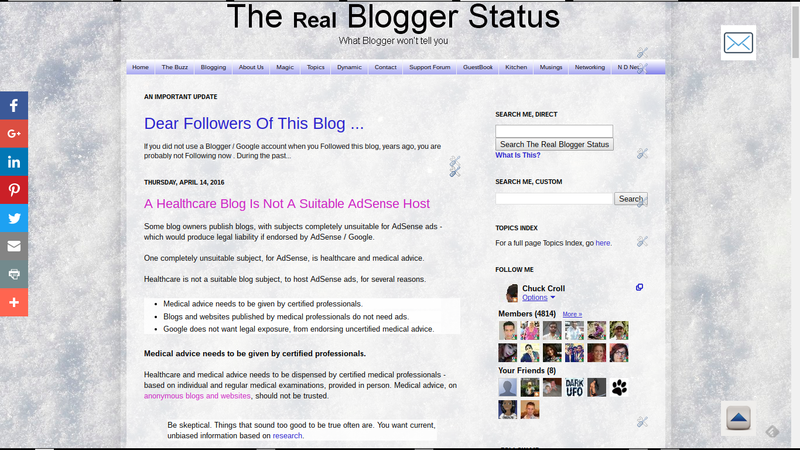 Blogs and websites published by medical professionals do not need ads. Google does not want legal exposure, from endorsing uncertified medical advice. Healthcare and medical advice needs to be dispensed by certified medical professionals - based on individual and regular medical examinations, provided in person. Medical advice, on anonymous blogs and websites, should not be trusted. Be skeptical. Things that sound too good to be true often are. You want current, unbiased information based on research. Certified medical professionals are (indirectly) well paid, by their patients - and have no need to publish blogs and websites that cannot provide reliable results, financed by ads. And their time is better spent, caring for their patients - not publishing blogs of dubious future. No experienced medical professional will provide anonymous advice, using a blog or website. They know that proper medical procedure requires direct, in person conversation and examination. Blogs and websites, published by reliable and well known medical institutions - like any company blog or website - do not need ads, to supplement income. Medical institutions, like medical professionals, are financed (directly, or indirectly) by the patients in their care. Non certified professionals - and outright amateurs - cannot provide adequate medical advice, anonymously. Medical subjects are extremely complex, requiring constant recertification - and no uncertified amateur can ever know enough to reliably advise anybody. For AdSense and Google to endorse a blog, published by someone of unknown reliability, to provide medical advice, they would be opening themselves to tremendous liability. The medical profession is open to enough legal danger - even with advice and care dispensed in person, by certified professionals, and subject to endless peer and supervisory review. Google does not need the legal risk. AdSense explicitly identifies Healthcare-related content as a prohibited blog and website subject. Blogs that publish healthcare and medical related articles will never display AdSense ads. If you want to publish a Blogger blog, with AdSense ads, you will need to choose a different subject for your blog. Some #Blogger blog owners publish blogs containing health and medical advice - and try to host AdSense ads on their blogs. They do not realise that AdSense has no intention of providing ads, for blogs which provide unknown and unreliable medical advice. My blog is about Occupational Therapy (Health care but not medical advice),so do you reckon I might not be able to get Adsense ever? This article is an eye-opener for me as I am a doctor and I started with a medical advice blog. Now, I am focusing on my, sort of, travel blog :).